The blog has been lying low for quite awhile. Time allowing, I'd like to present some new ideas. I occasionally hear talk of the "good old days" of mediumwave DXing, usually referring to back in the 1960s and earlier. The talk is of nightly cross-country DX, of hearing Los Angeles on the east coast, of foreign stations as a regular occurrence. Usually it gets around to a discussion of how fewer stations were on the mediumwave band in those days. I always wondered what a comparison would look like. 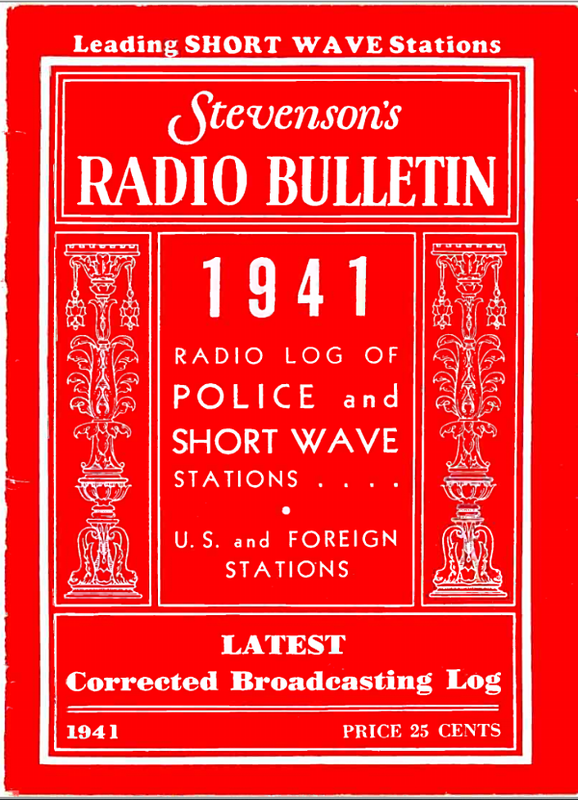 They have scanned many articles and magazines from all eras of radio history, back to the 1920s. I decided to tabulate the 1941 list of mediumwave stations against today's 2108 list and see what it looks like. This has been a project idea I've been thinking about for a long time. I just haven't been able to get a station list with the data readably usable, so I decided to write some code to extract it. Presented below is the mediumwave radio world of 1941 compared to today's 2018. The 2018 US station counts are all nighttime stations only, at current nighttime power levels. 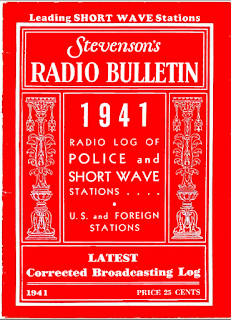 The 1941 station data includes all stations from that year (tabulated in January, 1941). Less than 10% are restricted in their nighttime use of power , a few are daytimers only. That just means there would be even less interference than what can be extrapolated from the table. So, were these the good old days? I would say so. In 1941 we only had about 31% of the RF wattage flying around at night. There were a total of 833 stations transmitting at night, as opposed to the approximately 4058 transmitting at night tonight. What the table doesn't show is that the stations transmitting at night in 1941 generally transmitted at a higher power than those of today, Fewer stations at higher powers = better DX. If you want a good example of present-day nighttime confusion, one only has to look at a single channel, perhaps one of the worst. 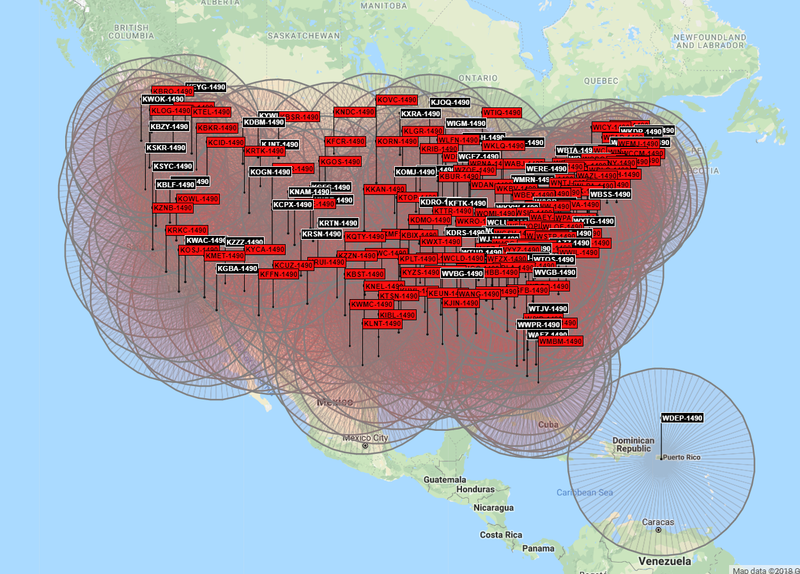 1490 KHz, one of our US graveyard channels has 182 stations transmitting all at once. The results are shown below. Reception contours are set to the 0.1 mV/m level, a level which should generate signal in even the most marginal receiver, within range. Good days must be ahead.